State College Police are investigating a Mount Nittany Medical Center nurse. The nurse reportedly gave a dose of pain medication to an infant that was intended for the baby's mother, according to a search warrant filed last week. According to the search warrant, a child born on July 19 was given a shot of toradol, a pain medication meant for the child's mother, a day after the infant's birth. The infant was eventually transported to Geisinger Hospital in Danville for either liver or kidney failure. The infant eventually was able to work his way through the effects of the medication, according to court documents. The hospital was reportedly monitoring the sugar levels with an IV of both the mother and the infant, according to court documents. The mother contracted gestational diabetes during pregnancy, so the hospital was monitoring the sugar levels of the infant, while the mother had an IV as she delivered the infant through C-Section. The nurse came into the room on the morning of July 20, and accidentally began to put the dose of toradol in the infant's IV rather than the mother's, according to court documents. When the infant immediately reacted to the dose, the nurse stopped giving the medication. According to the legal documents, the father told police that the nurse never reported to her superiors that she accidentally gave the dose of medicine to the infant. 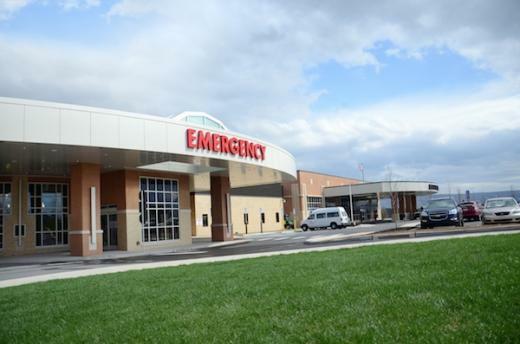 Mount Nittany Medical Center did not immediately respond to a request for comment. A frightening motorcycle accident sends two people to the hospital.